Don’t be complacent about China! When I first moved from China to Australia in 2011 I was surprised to hear rumblings about the perils of Australian complacency in the face of rapid changes taking place across the Indo–Pacific. Australia’s destiny is tied to Asia and China in particular—this struck me as a given. The living standards of Australians are inherently dependent on the ability of Australian businesses to continue to make profit and on the region continuing to be without major conflict. The former means increasingly relying on the region to generate profit. The latter means that Canberra’s diplomatic efforts must focus on encouraging the peaceful rise of China and the establishment of a new equilibrium of power acceptable to Australia and others in the region. Over the past four years, I’ve been confronted with this complaint of complacency in countless conversations about Australia’s ties with China. Many Australian government officials, military officers, business people, university administrators, defence analysts and academics have bemoaned that Australians haven’t made the effort to become China-literate because they haven’t needed to. The resources boom kept living standards high without requiring much effort. Furthermore, changes in education policies around the turn of the 21st century discouraged Australian school children from studying Asian languages. Most recently, during a closed-door meeting of China Matters in Melbourne, it was apparent to me that Australia continues to miss out on significant opportunities. At the meeting, three very different kinds of questions were probed: How’s Australian business coping with the transforming environment under Xi Jinping? How should the Australian government respond to outreach activities of the Chinese government in Australia, especially among Chinese international students and media outlets? 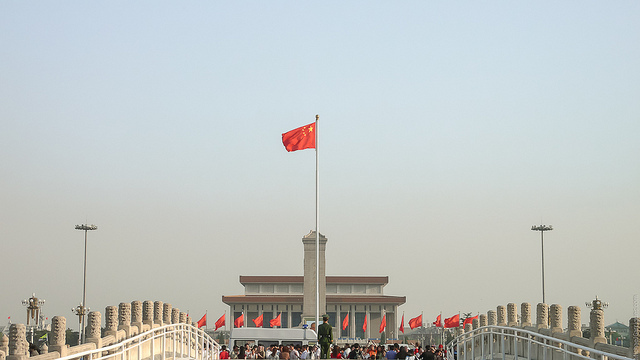 How should Canberra respond to China’s ambitions in the region? All three sessions ended not only with a recognition that it’s going to be even tougher to benefit from engagement with China as ties expand and deepen, but also, if Australians don’t grasp some of the opportunities, they will be worse off for it. The first crucial step in learning how to deal with a different counterpart—one with whom Australia doesn’t share common values—is the hardest. The unknown seems to be an insurmountable challenge. Starting with the business environment, Australians are missing opportunities because of reluctance to invest in China. Despite the fact that the consequences of China’s economic transformation have been apparent for a decade, Australia’s economic relationship with China continues to be largely transactional (resources or food products are shipped to China). Xi Jinping’s reforms merely reinforced goals set by his predecessor: to make growth consumption-driven rather than investment-led and reliant on the services sector rather than manufacturing. The overwhelming majority of Australia’s GDP derives from the services sector, but services only comprise about 20% of Australia’s exports. The vast majority of Australian companies are at least 10 years behind competitors who invested in China via either wholly foreign-owned entities or joint ventures. Competitors now increasingly include Chinese companies, who in many cases have had (or continue to have) an advantage due to Chinese administrative measures or policies that favour domestic companies. Additionally, today many Chinese business executives are experienced and confident and therefore have no incentive to grant favourable terms in return for the opportunity to learn from a Western partner, as was the case 10–15 years ago. Naturally, investing in China carries risk. Many factors, among others the lack of rule of law, compound normal business risks. But due diligence and hedging are better tools than complacency to offset risk. Moving to the education sector, I’m dismayed that the Australian government and universities don’t make greater effort at outreach among international students to proudly promote this multicultural society, one that thrives on the rule of law and civil liberties such as freedom of speech and the press. What a missed opportunity! Those international students—of which about one-third are from China—contribute vital revenue to Australian universities. However, in the case of Chinese students, many have scant if any interaction with Australian society. Many Chinese students in Australia rely on Chinese student associations, funded in part by the Chinese government, for their social activities and on Chinese-language media for news and understanding of the goings-on in Australia and the world. Most Chinese language media in Australia are controlled or heavily influenced by the Propaganda Bureau of the Communist Party of China (CCP), which forbids open discussion of issues it deems controversial. According to John Fitzgerald , a Swinburne University of Technology academic, the views of Chinese residents of Australia, whether they’re students or migrants, are ‘massaged in Australia through Chinese-language news and commentary produced in Beijing and rebroadcast through commercial radio stations and other media that have been bought up by businesses acting on behalf of the CCP Propaganda Bureau’. That means that many (possibly most) Chinese students in Australia aren’t exposed either at social events or in their news intake to issues deemed anathema by the Chinese government, for example contrarian views on controversies in the South China Sea or on minority concerns in Tibet and Xinjiang. Upon their return, the Chinese students in Australia are potential ambassadors of Australian values and principles. As my China Matters colleague Eva O’Dea has written elsewhere , the Australian government and universities should explain to Chinese students living here how a rules-based society works. This would also support Australia’s advocacy of a rules-based order in the international arena. This opportunity is being missed. Lastly, to the challenge of strengthening Australia’s capacity to participate in transforming the region so that a favourable balance of power emerges between China and the US—one which is in Australia’s interests. It’s an extremely complex but absolutely necessary long-term task. It’s futile to resist change and hope that Washington will continue to dominate the region so no recalibration of power is necessary. To Canberra’s credit several key policy-makers acknowledge this and are seriously grappling with this reality. Frances Adamson, among others, deserves recognition for her tremendous contribution as Australia’s most recent envoy in Beijing. But there’s much work to be done, starting with clearer and more candid messaging from the government to all ranks of public servants as well as to the population at large. Dennis Richardson, Michael Thawley and Peter Varghese have each taken initial steps and set good precedents as departmental secretaries by speaking in public about China’s rise and the challenges ahead. Despite this, the government must do a better job at preparing the population for the inevitable change in the balance of power within the Indo–Pacific region. How the new equilibrium of power between the US and China emerges will entail a delicate balancing act, one in which Australia and the rest of the region have a role. Hence there’s a dire need to deepen Australia’s relations with the rest of the region. I acknowledge the challenge of pressing global issues and allocating limited funds, but every penny available should be devoted to strengthening the standing of Australia in regional capitals. Australian government ministers constantly reiterate Australia’s support for a rules-based regional order, after which they fall back on guarded diplomatic platitudes to convey that Australia doesn’t want to live in a region dominated by a powerful China that unilaterally acts to protect what it perceives as its core interests. Australia by itself is too small to mould China’s policies. In post-Cold War thinking Washington was the natural place to turn to look for a partner; next was Tokyo. But we’ve moved into a new era: an era of rebalancing, an era of flux. Canberra isn’t on equal footing with either Washington or Tokyo; and Beijing knows it. It isn’t in Australia’s interests to always be perceived as following the US. Even more detrimental would be to be seen as following Tokyo’s lead. Hence when China’s actions cause concern Australia needs to be in a position to push back together with one or two regional nations whose clout is somewhat commensurate with its own. Minilateral gatherings are a good start. But much more effort is needed to build relationships throughout the region—at not only government minister level but also among a diverse set of senior public servants. That would allow Australians to have more sway in Beijing as well as in Jakarta, Seoul, Tokyo, Kuala Lumpur and Bangkok. Linda Jakobson is the founding director of China Matters and is Visiting Professor at the United States Studies Centre at Sydney University. Image courtesy of Flickr user Lain.